Sign up an email tracking account at TrackMsg.com. 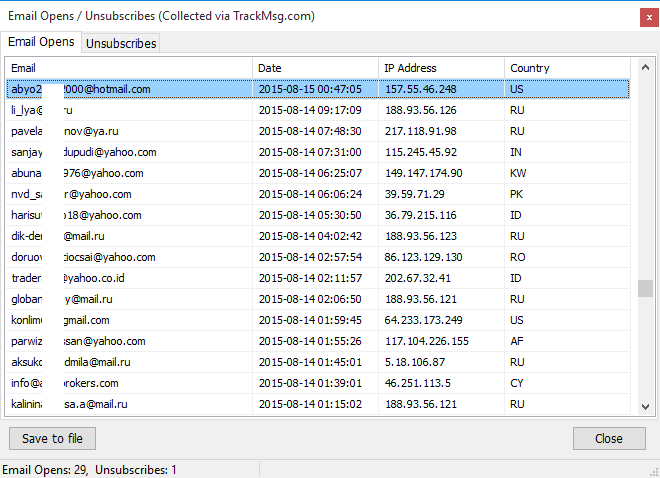 To track email open, click menu "Tracking Service -> Track Email Opens" on the Message Composer. You can edit the text between the marks [unsub] and [/unsub]. This text will be hyperlinked in the final email messages. 4. 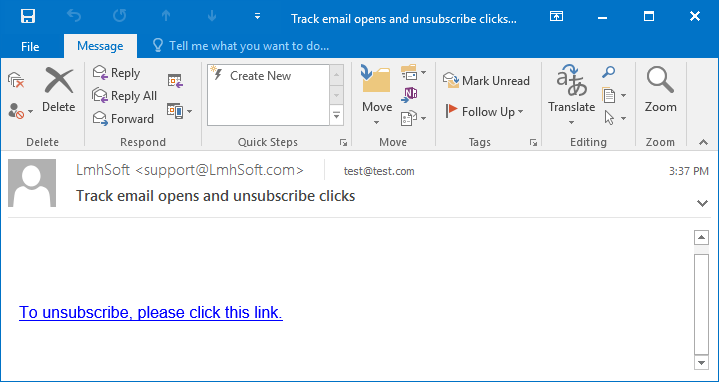 How the unsubscribe link works? Click at the "Confirm Unsubscribe" button. The whole unsubscribe process is completed. 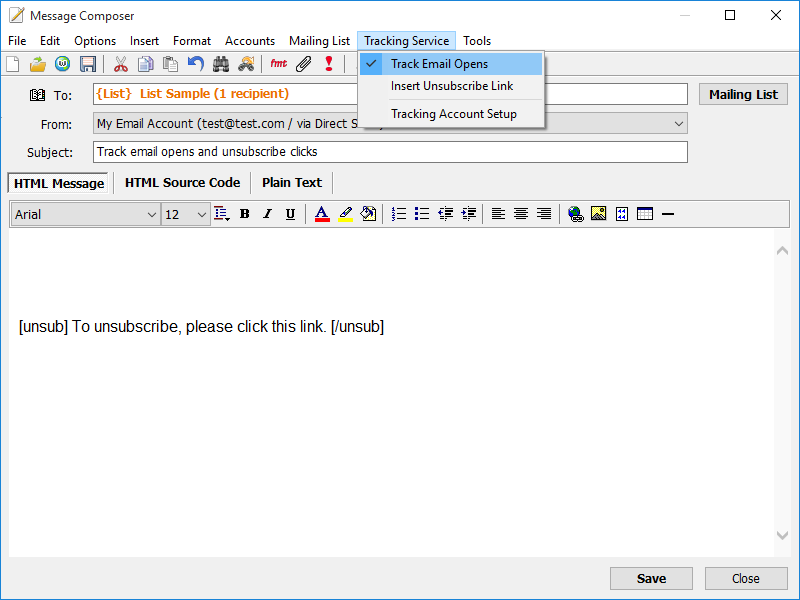 The collected unsubscribe (opt-out) email addresses will be automatically downloaded from TrackMsg.com servers by e-Campaign, and excluded from future mailing jobs. 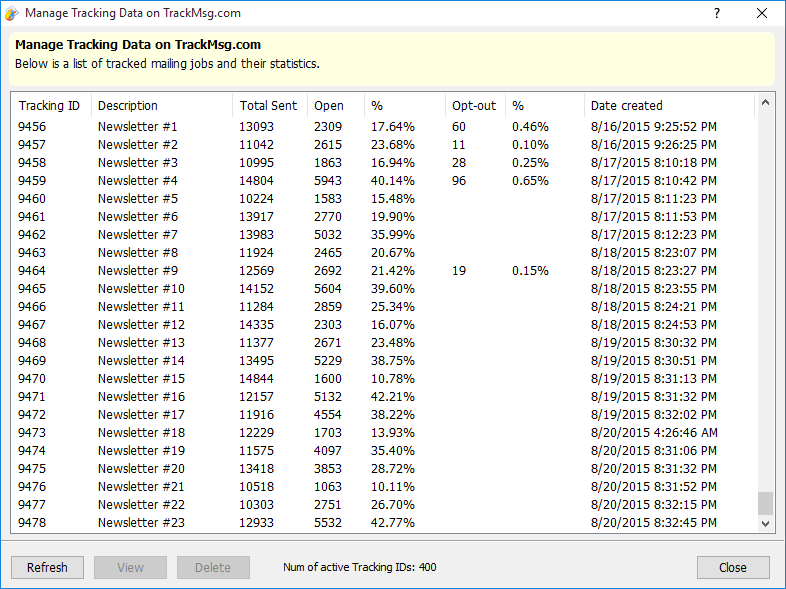 To view the open and unsubscribe data, click menu "Tracking Service -> Manage Tracking Data" from the main window. You will see the open and opt-out numbers and rates. To view who read the message, double-click at the item in question.